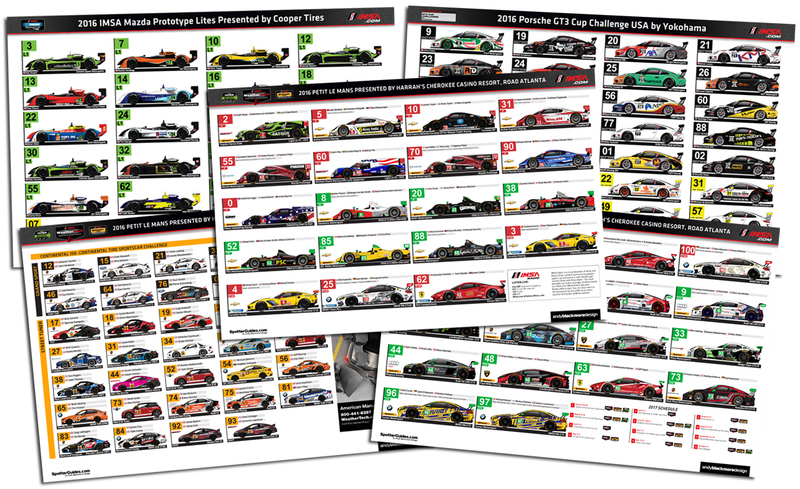 Thanks to commissions from IMSA, all the IMSA sanctioned races at this weekend’s Petit Le Mans event at Road Atlanta have their own Official Spotter Guide. Thanks to IMSA for their support with the SpotterGuide series every season since 2007. Hope to be back next year! 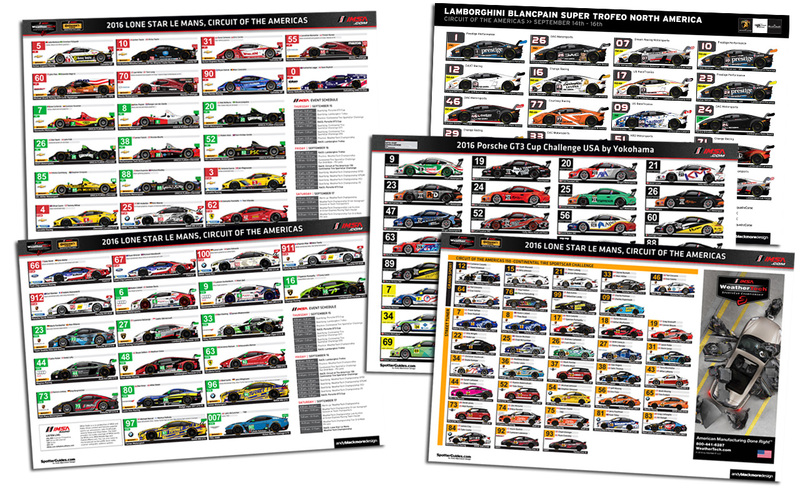 Thanks to commissions from IMSA and Lamborghini Squadra Crose, all the IMSA sanctioned races at this weekend’s Lone Star Le Mans event at Circuit of the Americas has its own Official Spotter Guide. In addition, the Lamborghini Blancpain Super Trofeo EUROPE Spotter Guide for the Nürburgring event will be released later in the week. Thanks to IMSA and Lamborghini. 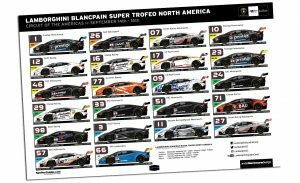 With the European and North American Lamborghini Blancpain Super Trofeo championships both competing on the same weekend at the Nürburgring and Circuit of Americas respectively , Andy Blackmore Design and SpotterGuides.com have released official guides for each event. 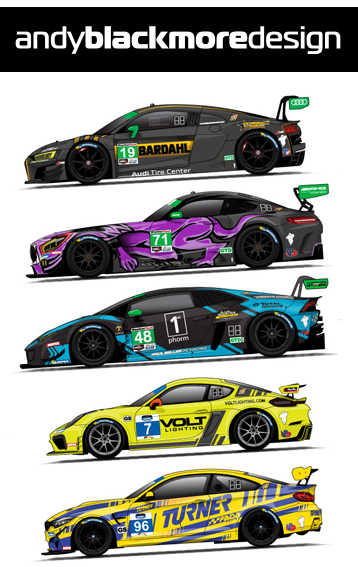 Commissioned by Lamborghini Squadra Corse, the PDF guides are updated prior to each race event and show the car livery, team, driver and class details. Both series has live streaming on the official site.